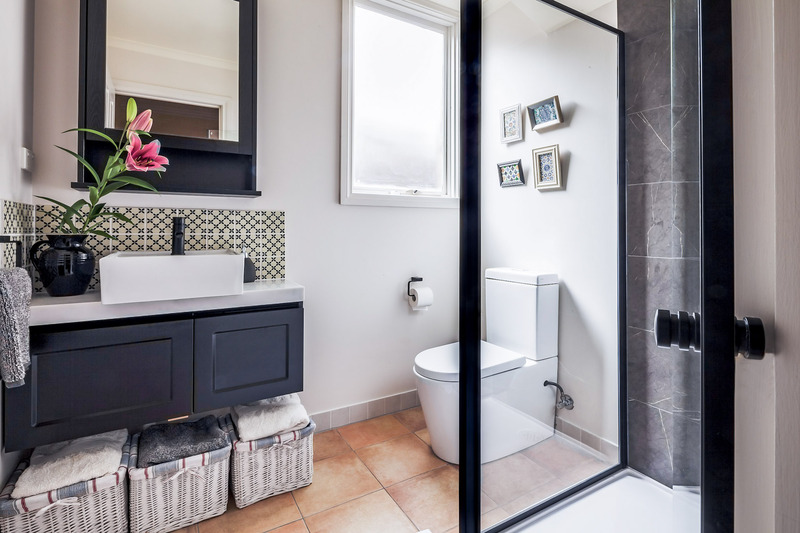 Simply, the client wanted a beautiful bathroom, to update the style as this bathroom was nearly 20 years old and to a create a space that truly reflected the client’s desired aesthetic with plenty of functional storage. 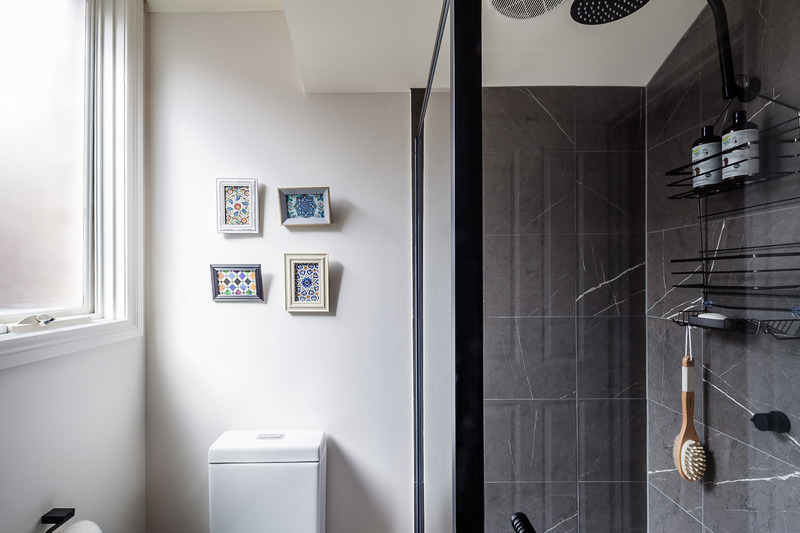 Following our comprehensive brief and review of the floor plan we decided not to change the bathroom configuration, which essentially saved the client some money. 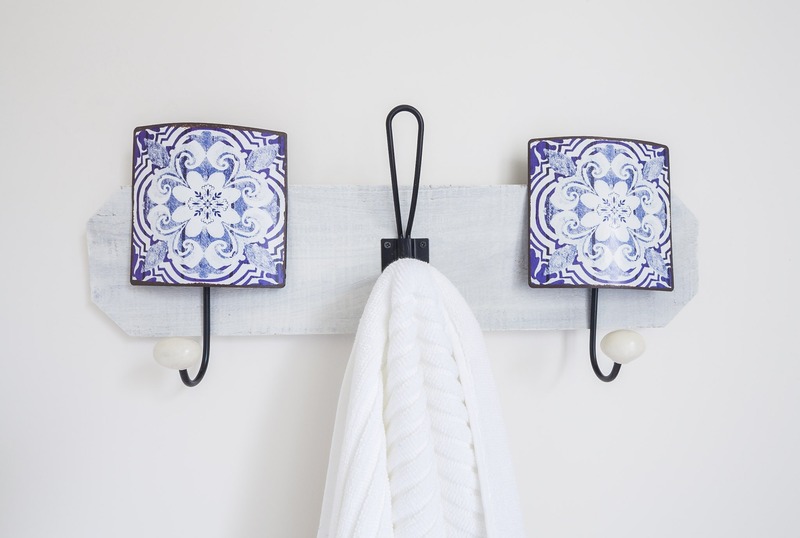 Therefore we focused on style, colour and texture, we used the blue and white hooks purchased by the client in Granada, Spain as inspiration and developed a classic black, white, grey colour scheme with a blue accent. We maintained a predominately European style with some classic European elements such as a Carrara marble counter top, the marble style tiles in the shower, and the Modern Shaker Style vanity which is a stand out piece custom made to the required dimensions. 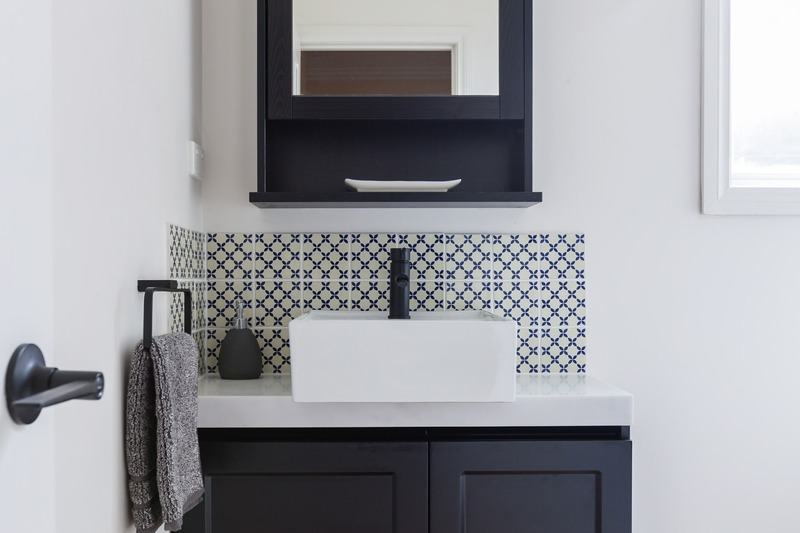 The Spanish look continued through the blue and white splashback tiles and we used black accessories to further accentuate the Modern elements of the design. 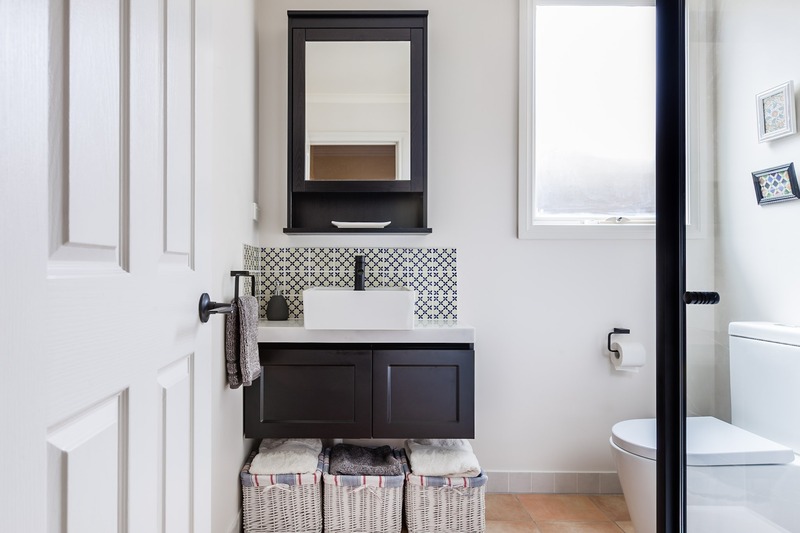 By adding the white wicker baskets we brought some warmth into the space via a roughened textural element which also provided additional storage.